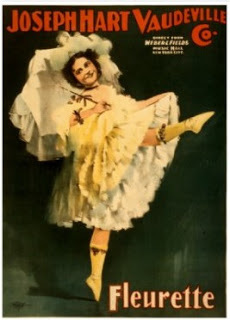 In American entertainment, the 1900s were the Vaudeville Century. This is a theme I expect to return to and explore as opportunity arises. For now, suffice it to say this: we live even now among the last ripples of the entertainment tsunami that was vaudeville (what is American Idol but a hi-tech riff on Amateur Night down at the local Orpheum?). For decades after it supposedly “died” under the one-two punch of radio and talking pictures, vaudeville’s influence persisted as its practitioners abandoned the shriveling two-a-day circuits and went where the money was: Broadway, Hollywood, radio, television. Those early musicals Richard Barrios deals with in A Song in the Dark, and the Vitaphone shorts that preceded them, were the ground on which vaudeville and talking pictures first met, and I think that’s the main reason I find them so fascinating. Here was vaudeville, in the full vigor of what seemed the prime of life, little suspecting that before another decade was out it would go the way of traveling medicine shows. And here are talking pictures, flexing their muscles and, haltingly, finding their legs. One of the biggest names in vaudeville belonged to the Duncan Sisters, Rosetta and Vivian (or “Hymie” and “Jake,” as they were affectionately known). Beginning with an act mixing straight ballads and comic songs, they got off to a rocky start in 1917, when Variety called them “not ripe as yet for the big time.” They ripened fast, perfecting their act on the circuit until in time they were getting $7,500 a week plus 50 percent of the box office over $25,000 — megastar earnings in an age when 90 percent of American families were earning less than $5,000 a year. 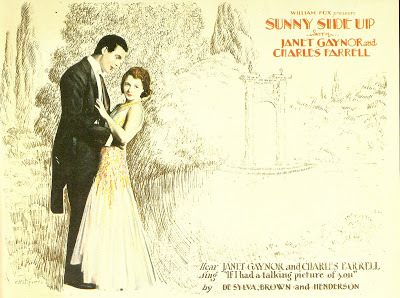 (Later, they get a reprise of the title number that shows Janet Gaynor how it’s done.) White was a particular joy on film, a peppy four-foot-ten scene-stealer whom Fox kept busy in their early musicals. She later went to Columbia, where she was top-billed in Woman Haters, the Three Stooges’ first short in their long career at the studio. 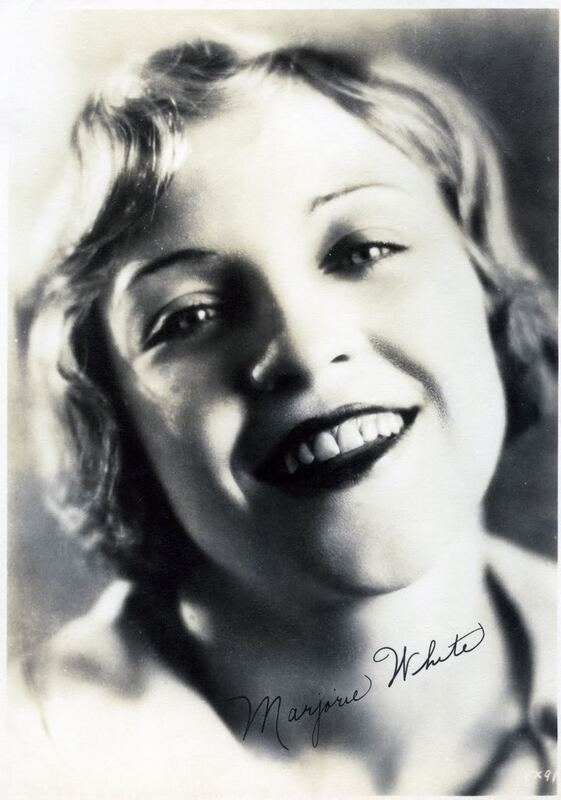 Sadly, White’s career was cut short in 1935 when she was killed in a Santa Monica auto accident; she was 31. It wasn’t all vaudeville in those early talkies, of course. 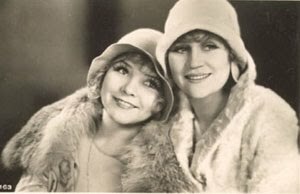 The careers of silent stars Bessie Love and Bebe Daniels were beginning to flag in the late ’20s, and both made huge comebacks in (respectively) The Broadway Melody and Rio Rita (Love even snagged an Oscar nomination). Rio Rita survives in a slightly edited reissue version; it’s a bit of a relic, with Daniels’s performance probably the best thing about it. Neither woman’s stardom lasted long into the 1930s. Daniels is best remembered today as the leading lady whose broken ankle gives Ruby Keeler her big chance in 42nd Street. Love, after a popular (and still creditable) run in light musicals of the day, kept plugging away in smaller roles for decades; her last was in The Hunger (1983) with David Bowie and Catherine Deneuve. MGM famously shoved Joan Crawford into a few musicals, in which the salient feature is her feverish determination to make good, clomping through her dance routines with panting zest; eventually she and Metro (and, later, Warner Bros.) channeled her manic drive in more fruitful directions. These ruminations on early musicals, prompted by a happy rereading of A Song in the Dark, have run on longer than I expected. I think I’ll wind up with an illustration of the unexpected, if sometimes modest, pleasures to be found in those half-forgotten songfests. This one is from Love in the Rough (1930), a musical version of the Vincent Lawrence play Spring Fever that — like the play and movie of Follow Thru — exploited the vogue for golf in the wake of Bobby Jones’s phenomenal career. Robert Montgomery (who proved a pretty good song-and-dance man) plays a shipping clerk whose prowess at golf earns him an entree to his boss’s country club, where the upper crust snobs take him for one of their own. 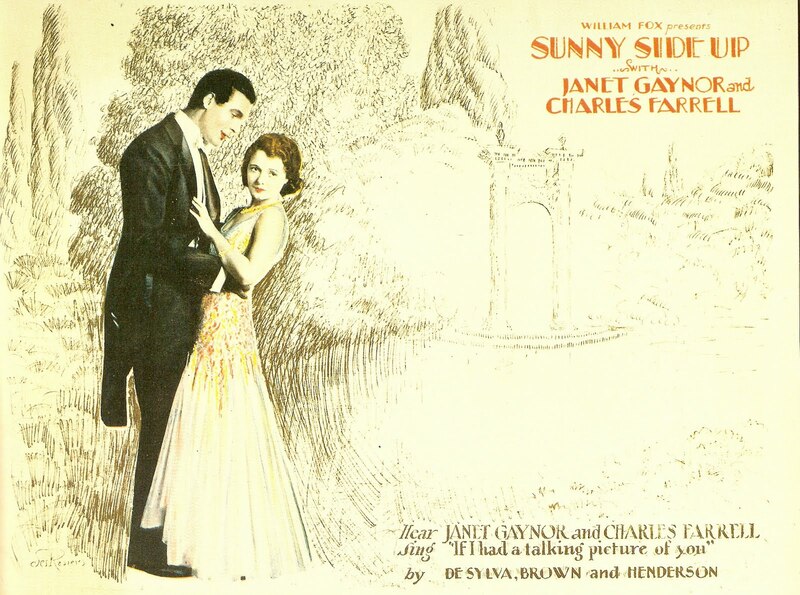 He and heiress Dorothy Jordan fall in love at first sight, and she sings “I’m Doing That Thing,” one of the sprightly songs by Jimmy McHugh and Dorothy Fields. Jordan is a delight; even her slight speech impediment is endearing. Thanks for stopping by, Fran. I hope you'll visit often, and continue to like what you see.